This is an awesome new sweepstakes from Ford that gives you a chance to win a brand new Ford F-150 truck and a trip to the PBR (Professional Bull Riders) World Finals. I’ve never specifically been a rodeo fan, but I do vividly remember my parents taking me to a Rodeo when I was just a wee gal. And although I’ve never been back, it must say something that I still remember it after all these years. It’s kind of like your first trip to a circus, there’s just so many foreign sites and sounds (that is, if you didn’t grow up on a farm) that you are captivated from the onset. But let’s not forget the real prize here is a new Ford truck. I’m of the opinion that every family should own a truck if possible. That is, if you don’t live in a city and if you can’t necessarily afford to simply hire one when needed. I can’t tell you how many times in just the last few years I’ve had a need for a truck. For some tasks, simply nothing can replace it. For instance, a couple years ago I needed a “truck load” (no pun intended) of sand to put down under an above ground pool just a few years ago. I finally managed to get a friend with a truck to help out, but had I needed to pay for delivery the price would have been at least twice as much as I paid for the sand. Then just last year I needed to pickup a couch that was donated to me by a family member, and once again I had no way to transport it. In that instance, I got lucky when another family member was moving, they used the box truck they had rented to move to transport the sofa for me. And now once again, I’m supposed to be picking up (not literally, of course) a metal framed picnic table from someone else in the family. It’s been sitting at their house for about six months now since they offered to give it to me, because once again I have no way to move it. I have a neighbor with a truck whom I may ask to help, but they are busy running a business and raising kids and I just hate to have to inconvenience them with the task. That’s what I’m getting at when I say there are some things that you can do with a truck that you just simply can’t do otherwise. Another one is towing, granted if you have a heavy enough car you can tow a light boat or trailer but for the big stuff there just isn’t any other solution. Maybe this applies more to those of us who live in a more rural setting, but I’ll bet even you metro dwellers have run into a need to transport something large at least once. If you’ve been stymied by a need to transport or tow a large object and didn’t have a truck to do it, let me know in the comments below. And I wish you the very best of luck to be the winner of this generous prize. 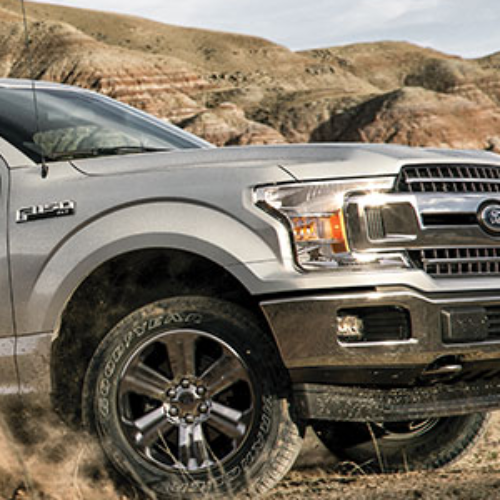 It would be wonderful to own a 2019 Ford Truck. My Father always had Ford vehicles and that’s what I like too. Trust me when I say we can truly use a nice truck like this one for getting all round!